A classic succulent, Sunset Hens & Chicks offers a gorgeous combination of emerald green and red rosettes. 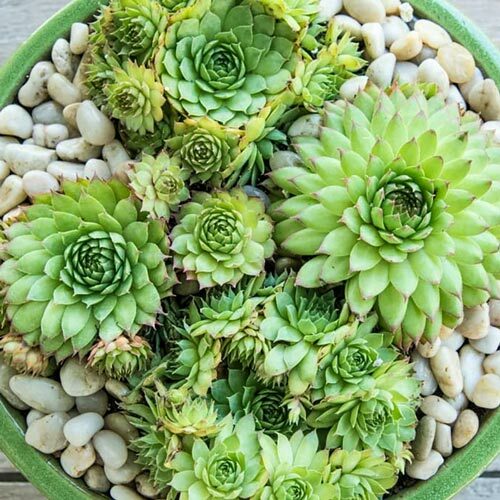 For years, gardeners have treasured Hens & Chicks for their easy care and eye-catching rosettes that multiply every year. The larger rosettes are called the hens while the smaller rosettes are the chicks. These drought-tolerant , winter-hardy perennials provide year-round interest when grown as a ground cover in rock gardens or planted in the fronts of sunny borders. They also add charm to terra-cotta pots and other patio containers. 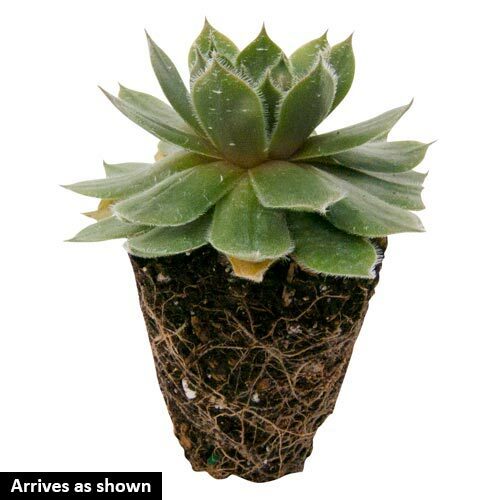 These easy-care succulents are also a great plant to give to beginning or novice gardeners. Additional InformationHens, the larger rosettes, generally only live for three years before they die,they produce a center stalk that flowers. Once the flower fades the rosette dies. The empty spot is quickly filled with chicks.